It has been a little over a month since this early May wedding and I am still swooning over it! Kathryn and Michael’s wedding day was just perfect, filled with sentimental details and tears of joy. They were surrounded by people who you could tell truly loved and cared for them and were so ecstatic to share this day with them. 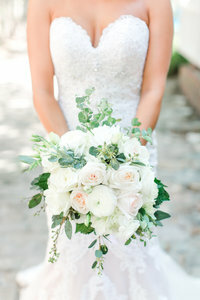 It was a beautiful day filled with stunning greenery and lush white florals and a gorgeous neutral palette. 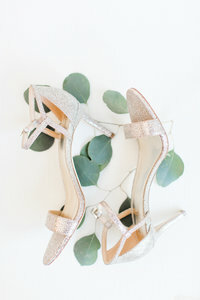 Kathryn and Michael also chose to do a blind first look and with Michael blind folded, they were able to stand under the dripping Spanish moss in the spot where they were to get married in just a few hours and pray with one another. It was such a beautiful moment. One of the most memorable and unique moments that I have from their day was during the ceremony. As a few of their closest friends played guitar and sang, Kathryn and Michael chose to serve communion to all of their guests. It was so touching to see the couple that the entire day is supposed to be about, instead choose to serve the ones around them rather than only be served. I loved it! And to end the night, of course they had an amazing dance party and Bojangles biscuits as their late night snack, so of course I couldn’t help but snagging one for myself. It was an amazing day and I hope you all love reliving this day as much as I do!